As 2019 was ushered in with bubbles and confetti, those who predict trends in the fitness industry were furiously researching what the new year would bring. No one knows who these mysterious mystics are, but they sure bring about some good ideas of cool workouts for us to try! As predicted by Elle Magazine, high intensity interval training (HIIT) will be shaken up and flipped on its head. No more straight-up HIIT sessions of classic workout moves - say hello to HIIT hybrids. You’ll be seeing a whole host of cool new takes on the HIIT workout that so many love… well, at least love the results! Combined with other predictions from the likes of CTV News and Harper’s Bazaar (can you spot the lil’ mention of MoveGB?) 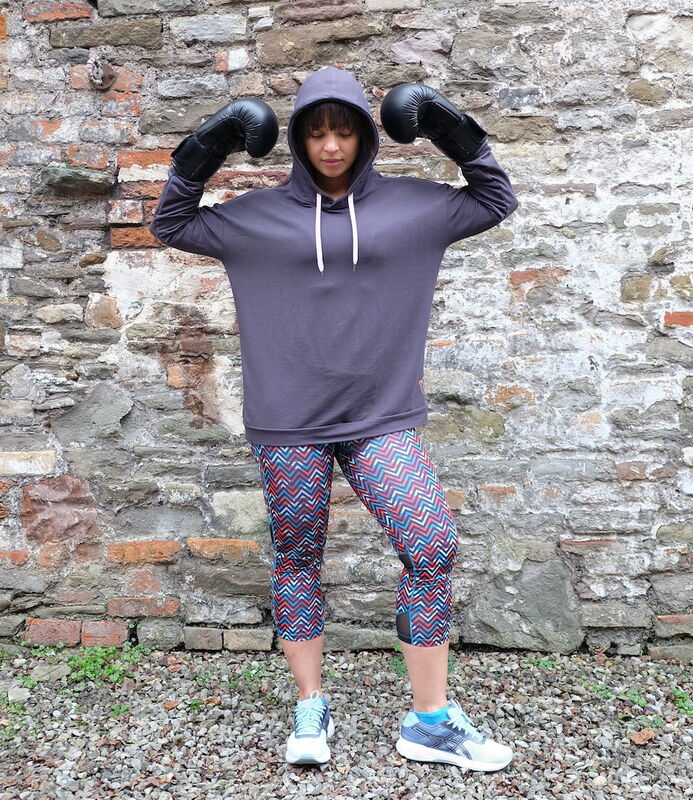 that boxing is shaping up to be a hot trend for all, a HIIT boxing hybrid sounds like it’s the workout of the year! We chatted to Carly Wilko, a fitness instructor in Bristol who runs a Bristol BoxHIIT class at Sweaty Betty - available on MoveGB. 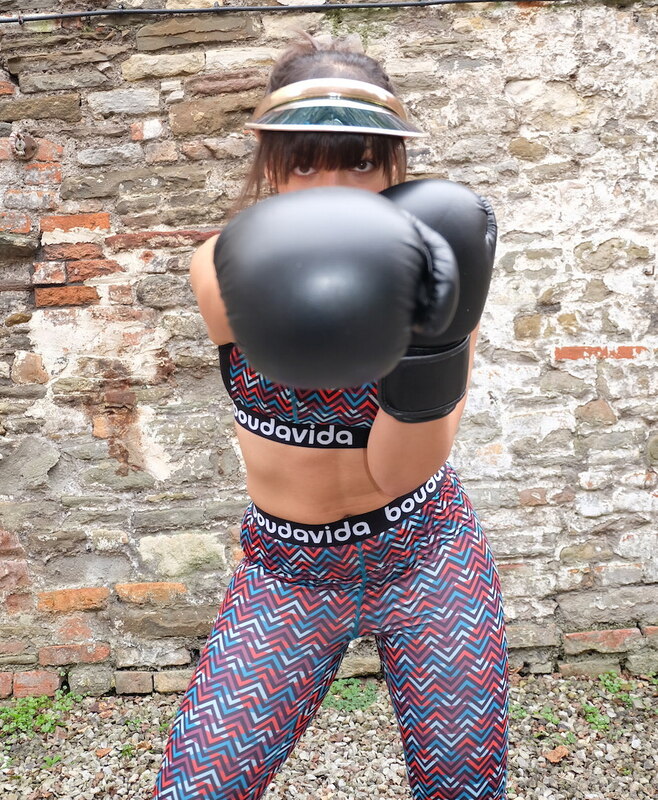 She gives us the lowdown on the benefits of her Boxing HIIT hybrid class, why you should try it and why more women are getting into boxing than ever. Will this be the trend you give a go for the new year? BoxHIIT sessions are a combination of boxing sequences performed HIIT style. Learn the techniques and hit those pads as hard as you can until you reach your well-deserved break to (semi) catch your breath before the next sequence. To break up the boxing, expect HIIT workouts on mats to great beats and some fantastic cheerleading from Carly. It’s 50-minutes of fat-blasting, muscle-building, sweat-inducing fun! Why would you recommend BoxHIIT as a workout? BoxHIIT combines so many great disciplines. Cardio, strength, endurance, power - you name it! You use loads of energy and also hone your communications skills by learning how to work with your partner on the pads. Is BoxHIIT a good workout for a fitness newbie? Boxing and HIIT are definitely two intimidating words if you're new to fitness. Hell, even if you’re a workout warrior, the combination of the two can seem quite intense! However, the environment at my classes is welcoming and definitely not too serious. BoxHIIT is great for newbies as you’ll be paired with someone of a similar level to yourself and coached through all the basic moves. You’ll know how to jab, hook and uppercut with good technique pretty quickly. You’re encouraged to take the HIIT circuits at your own pace - only you know what your body is capable of (which can change every day!) so as long as you’re working hard for you. That’s all you've got to do! I’ve designed my specific BoxHIIT sessions to bring people up to a good level of fitness over just a few sessions, simply because it works the cardiovascular system as well as improving muscle strength. It’s incredible seeing how much stronger and confident someone can become in only a few months of regular attendance! What are the top things you learn from a boxing HIIT class? Firstly, being aware. Being aware of what all parts of your body are doing in the space available - also known as proprioception - can help you in your other workouts and also in everyday life! Developing your strength and power - you’ll get faster and more focused in your approach, and will be able to punch harder in only a few sessions. And as mentioned before, communication is key in boxing. Developing coordination with your partner means lots of communication is required; whether you’re asking them to hold pads a different way or encouraging them to keep punching for the final 10 seconds, you need to speak up and help each other to get the best workout! Why do you think boxing has become so popular? It’s badass. Kind of grimy… and importantly, it’s real! By combining it with more accessible formats like HIIT and circuits, it’s becoming a staple for people in their weekly workout routines. This is particularly true for those who may be too intimidated to step into one of the more ‘traditional’ boxing gyms. Not everyone wants to get into a ring... just yet. Have you noticed an increase in women boxing over the past year? I didn’t design my classes as ‘girls only’, but it’s been 99% women who attend on a weekly basis. I’m not entirely sure why, but I do think sport has become less divided by gender in the past few years. 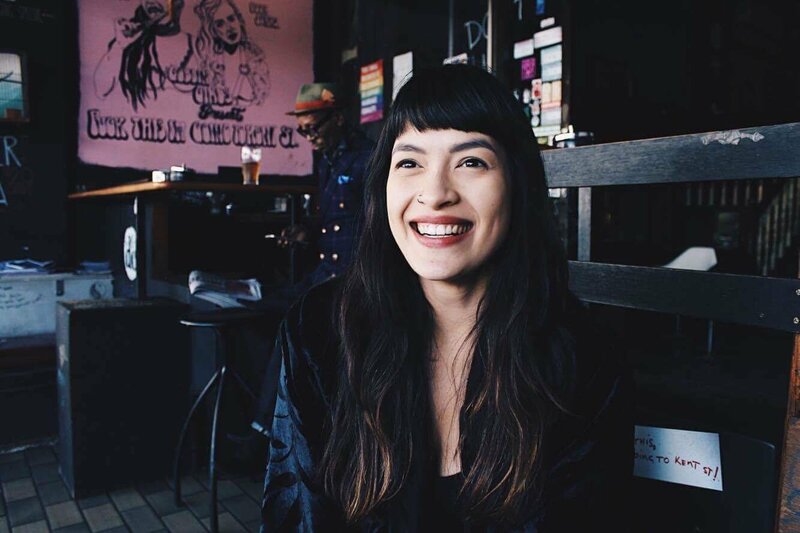 Barriers have been broken down thanks to social media - we can see others getting involved in sports which we may have never considered, and our interest is getting piqued. Also, advertising campaigns around encouraging women to do what makes them feel good in terms of exercise... and celebrating the fact that women are humans and they can also get bloody knees, messy hair, sweaty and grit their teeth while knee-deep in mud while exercising! All of this has contributed to women trying sports, such as boxing, which may’ve felt unwelcoming or intimidating to them a few years ago. Times are changing. Sportswomen in the mainstream media are celebrated more for their aspirational, warrior-like poses and physiques…. And I like it a lot! If you become addicted to BoxHIIT, what kit and equipment do you recommend? You’ll be able to do home BoxHIIT workouts with all the kit! The wraps protect your hands - they take a while to learn how to wrap them effectively, but once they’re on they provide a more comfortable punch. Gloves differ in size and weight (they’re measured in ounces) - this means the heavier the glove, the more power you have to throw behind it. Don’t be afraid to go for a medium weight from the get-go. You’ll out-punch the light options soon enough and wish you’d believed in your own power a bit more! Stance is key! Balance is the difference between a punch that lands and one which almost topples you over. Your hands rely a lot on the position of your feet - you need to take your whole body into account when boxing! Stay loose. Keep some looseness in your movements. When punching, aim to punch through the pads, rather than jarring to a halt once you connect. When holding the pads, you’re aiming to meet the punches in some way, so you're not standing rigid and being punched with no give in your body. If you jar your punches or the pads, it’s going to hurt your joints. Keep some tension so you're not too loose, but you’ll learn how to ‘respond’ when throwing or receiving those punches. Be ready to work with a partner! Some people prefer to workout alone so would be best in a class where you punch bags. But at BoxHIIT, we mix it up every week and you’ll be partnered during the boxing part of the class, so don’t baulk at the idea of chatting to a stranger! No need to be scared - it might be their first class too. 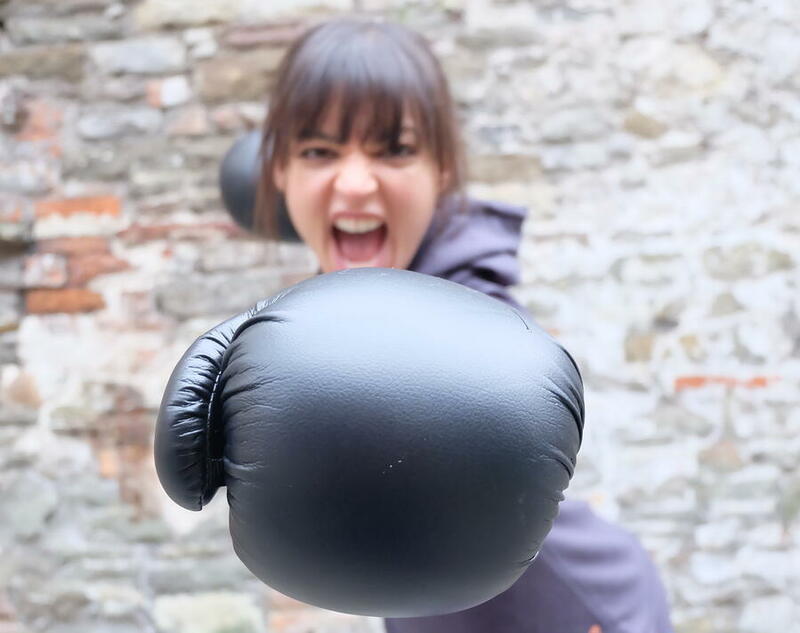 Try out BoxHIIT in Bristol every Saturday morning at Sweaty Betty with Carly - available on your MoveGB membership! And don’t forget, you can use your MoveGB membership across whatever cities we’re live in.